As the saying goes, a satisfied customers is the best business strategy. 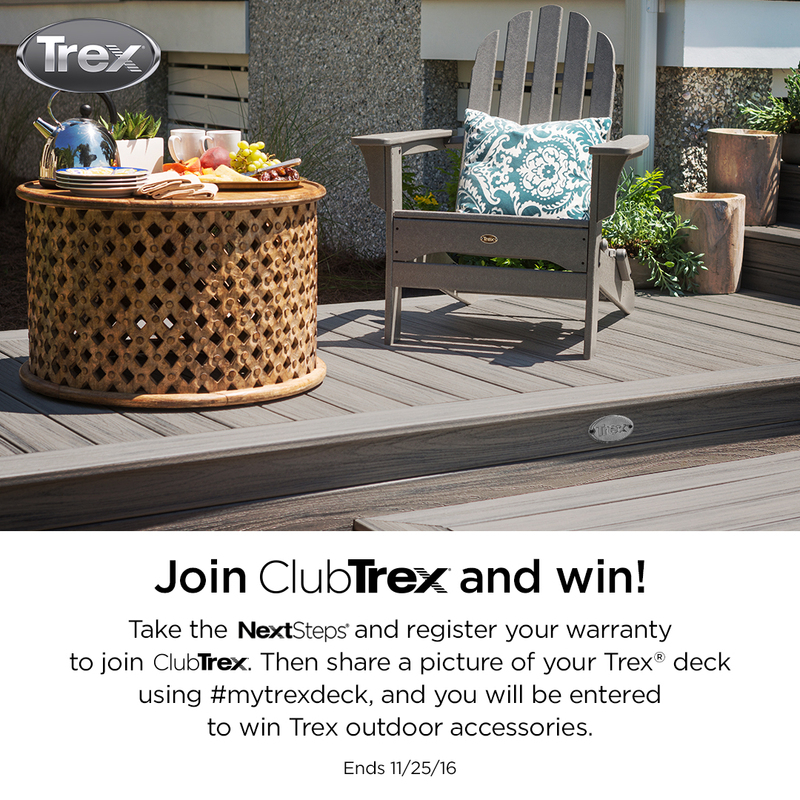 With that in mind, LCWA recently worked with Trex to harness the power of its happy deck owners through the #MyTrexDeck sweepstakes. This multi-channel social promotion served two main purposes – to encourage warranty registrations among Trex deck owners and to leverage them as brand ambassadors. 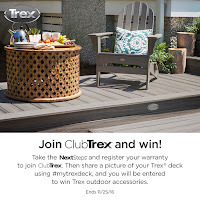 The promotion started with an Instagram contest that required Trex deck owners to register their Trex warranty and upload a photo of their deck using the hashtag #MyTrexDeck for the chance to win $2,000 in Trex accessories, including Trex Outdoor Lighting and Trex Outdoor Furniture, to enhance their Trex deck. Five entrants were selected as finalists to move on to a Facebook voting sweepstakes where a winner would be chosen by Trex fans. 00 worth of Trex Outdoor Lighting and Trex Outdoor Furniture. This incentive successfully helped to drive more than 1,100 votes on the finalists’ photos. In addition to driving warranty registrations, this promotion nurtured brand loyalty among existing Trex deck owners by celebrating their Trex projects. Simultaneously, sharing those projects with the brand’s sizeable Facebook community provided ideas and inspiration for future customers.